Badrinath is a Hindu holy town and a nagar panchayat in Chamoli district in the state of Uttarakhand, India. 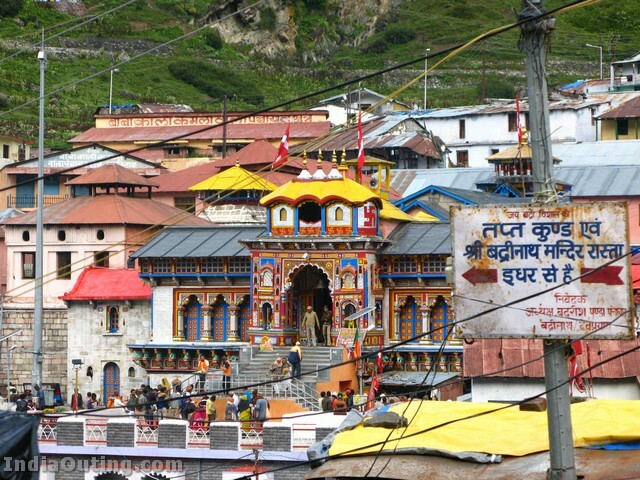 Badrinath is the most important of the four sites in India’s Char Dham pilgrimage. Badrinath is in the Garhwal hills, on the banks of the Alaknanda River, at an elevation of 3133 m.
Located only a few kilometers from the Indo-China (Tibet) border, Badrinath is generally a two-day-long journey from either Kedarnath, the site that precedes it in the Char Dham circuit, or one of the main disembarkation points on the plains. Hemkund Sahib, an important Sikh pilgrimage site, is on the way to Badrinath, so the road is especially crowded during the summer pilgrimage season. 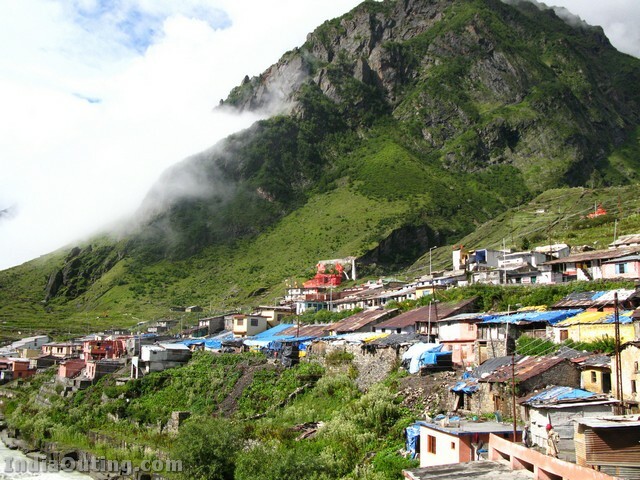 The temple and its substantial surrounding village are accessible by road.Many people prefer to reach Badrinath shrine starting early morning from Joshimath have darshan of Lord Vishnu and return to Joshimath by evening. Vasudhara Waterfall, 8 km from Badrinath. The first 3 km can be travelled by a car or a bus. This stop is called “Mana”. First point after the village Mana, the last habitat in the indian side, is Bhim Pool. This is said to have been built by Bhim for his wife Draupadi who could not cross the ridge. From here there is a 4 km trek for the falls and no special gear for the trek is needed, only some good shoes. Origin of Saraswati River, near mana village. this is said be origin of Saraswati river coming out and going underground again as this river is not visible anywhere from source upto Allahabad Sangam in UP where it is said to merge into Ganga river along with Yamuna river.Very close to visible river Saraswati there is very small water stream said to be water from Mansarover Lake in China. Lovely. Should share some time with other works. Funonthenet grabbing all my time. Thank you. I had been there twice and still looking for an opportunity visit the place. ashthametic paitent should avoid visiting it. Very Nice and Beautiful, Hatsoff to Sneha Saxena and Funonthenet. one of the best place i seen..
very much informative mail, good photographs, bueitiful location. must visit to these places. excellent-just sitting near my pc can visit required places. Awe-inspiring ! What is the use of taking birth in India if one does not visit this Divine place during her or his lifte time? What is the purpose of taking birth in India if one does not visit this Divine place during his lifetime ? BEAUTY OF GREAT INDIA !!!! I had seen this place earlier very cool and oleaseant place one who didnt visit better visit it once in a life time. Thank you very much for planning my trip to Badrinath. I had visited Badrinath alongwith my family during the summer of 1978. The experience of visitng Badrinath and Kedarnath was exhilirating and thrilling. 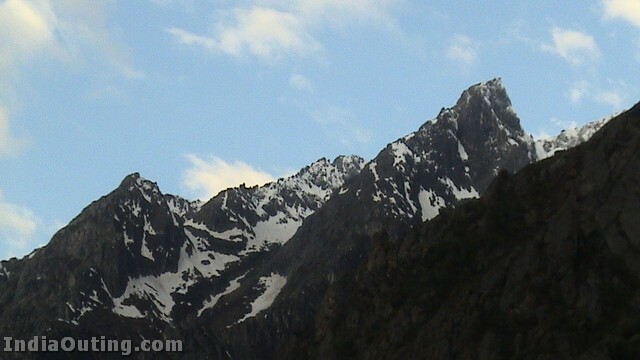 On seeing the pics, I am tempted to visit Badrinath once again in the near future. Every Hindu must visit these Char Dhams atleast once during their lifetime. My visit of BADRINATH during 1976 is repeated now through these internet pics. Thanks to the sender and may GOD ALMIGHTY bless him/her. BADRI VISHAL KI JAI. Hi, I hav visited N remember eveything…. Nice pictures wish i can go and enjoy holy places in India specially Northen India & Gujarat state. 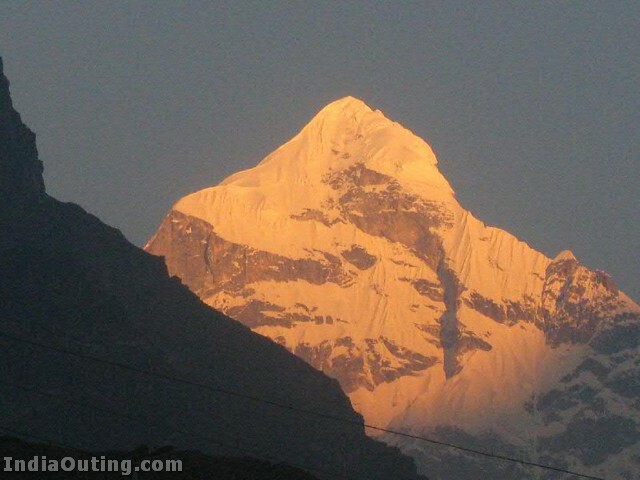 Beautiful , I can only add , if one has the time and the energy then you can plan to stay in Badrinath itself and take treks to various places in and around Badrinath. Should make a long visit to himalayas. Thanks for fonontnenet for the snaps, had a lovely view for the monent. nepal is more beautiful than these palce with mountains rivers lakes ponds..
Its an excellant place and greatest pilgrimage place of Hindu. We had visited last tea shop of indian boarder and drink tea for our memorey. One who hasnot visited( I couldnot visit so far butwould surely visit) should always feel that he has not done enough punya in last birth orthis birth. This is felt while vewingthe website. i was fortunate enough to visit badrinath twice in 2000 n 2007.it is very good location n one should visit if time n circmstances permit. 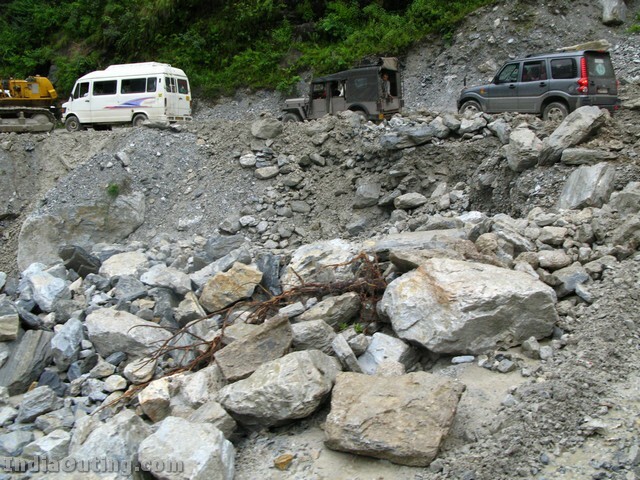 We had been twice to Badrinath and Kedarinath. Wonderful experience. 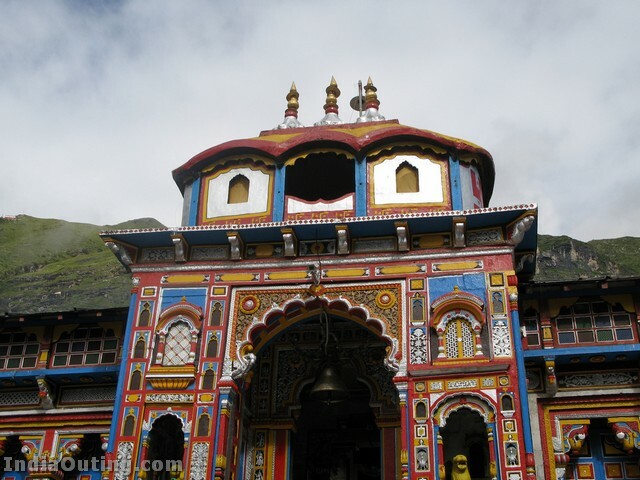 While Kedarinath is an adventure, Badrinath is quite a pleasant trip and every one should go with their family. It would be really a great experience at a most economical cost, If one is able to combine with Gangotri and Yamunothri. Hope God Almighty will give us the courage in accomplishing this trip sooner. Our Great India have all these paradises. Enjoy the photos. Thanks for funon the net for promoting these Hindu Dharmic Temples..
very good scenes and holy place one can visit their life time. Every Hindu should visit the Badrinath and Kedarnath.Last May with family visited the Badrinath. 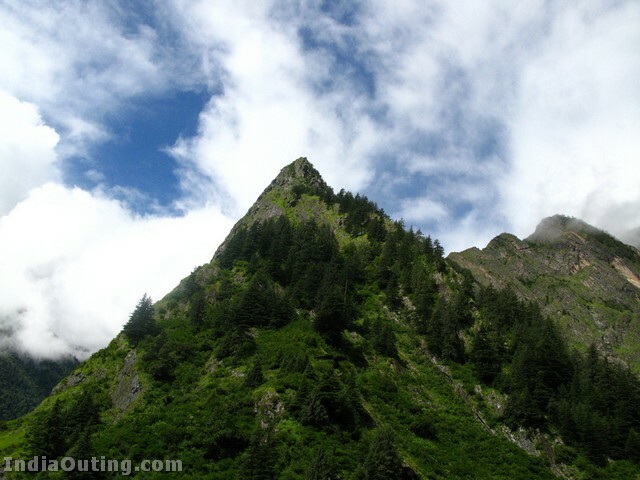 Very natural place.You should also visit Gupt Kashi,Gopeshwer,Chamoli,Tungnath also. True to life pics. Thanks a lot. 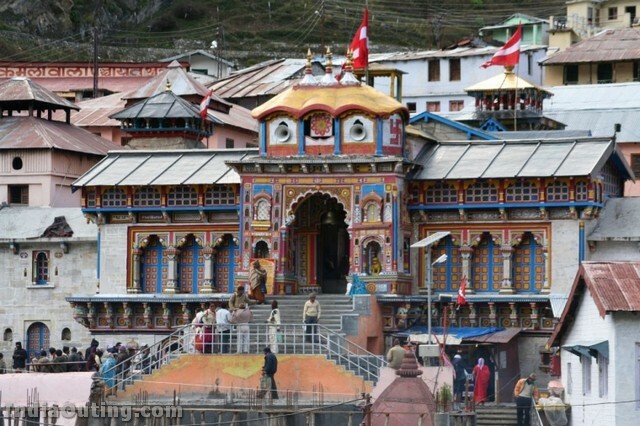 Badrinath one of the most holy pilgrimage char dham destination of India. As per the hindu religious it is the scared place to visit. Visit one of the holy pilgrimage destination i.e. 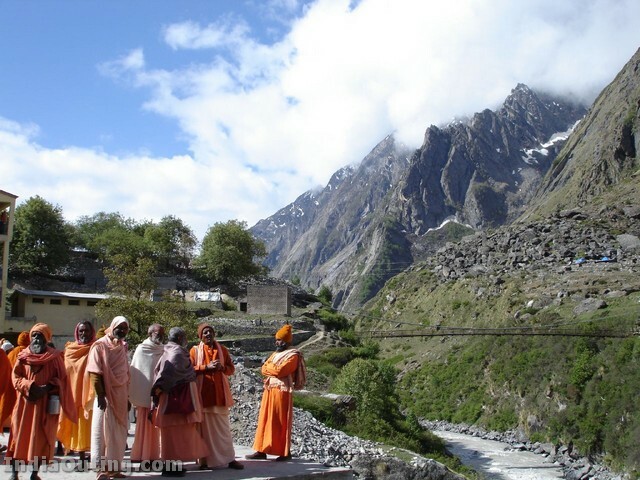 Yamunotri, Gangotri, Kedarnath and Badrinath are four major shrines by Hindu Religion. 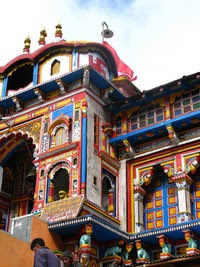 The famous badrinath temple is one the major spiritual spot of India and people from all over the globe visit this place. Nice post for religious people. 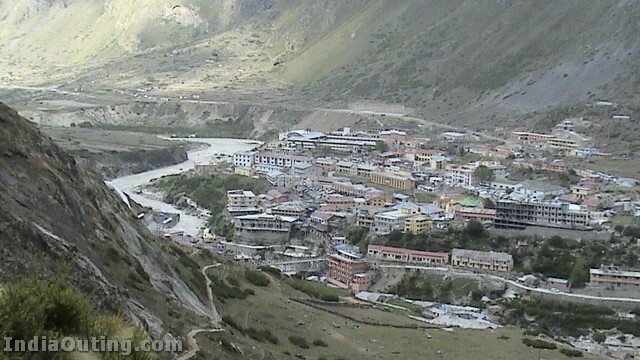 I VISITED DURING 80’S AND REVISITED BADRINATH AGAIN DURING MAY ’10. REALLY EVERY HUMAN BEING IN THE EARTH SHOULD VISIT SUCH A DIVINE HOLY PLACE. WE MAY HAVE TO TRAVEL A LOT (ABOUT 350KMS) BUT NOTHING EQUAL TO IT. Simply superb. No words to express. you made me feel grateful. i cannot go to see all this however can feel as if i am there. Very nice pictures and priliminary ideas for locations whenever visit these place. It would have been better, if the time to visit chardham yatra mentioned in the note as many of south Indian peoples unaware of climate conditions of Uttarkhand especially in Chardham. Keep it up and god may give more energy to share such a experience. HIMALAYA,MY ALL TIME FAVOURITE PLACE. I am a Garhwali by birth. Unfortunately could not go there….But I must say it is the best place to visit once in a life time by every person…I will definitely go there at least once….Jia Badri Vishal.. Very Nice Place. I want to visit the place with family. Kindly inform me about the accommodation facilities there. I have visited two times once in 1989 and again in 2003, memorable visit, in addition visiting Kedarnath so much fascinating to any visitor. 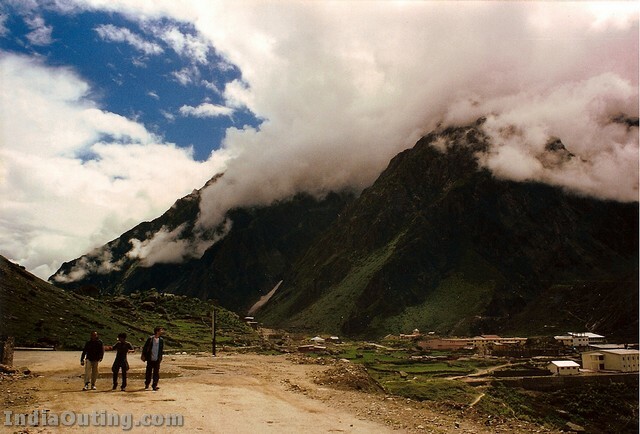 Anyone who stands near Himalayas gets humbled by its very expanse and touching the sky. i viseted for badrinath in 11th of july in 2012 i am inspired with the beautifull pictures of bhagwan badrinath so we called it the place is dev bhumi and heaven of the earth . I have visited char dham on June 2012. for the first time i felt that i have been blessed by GOD. 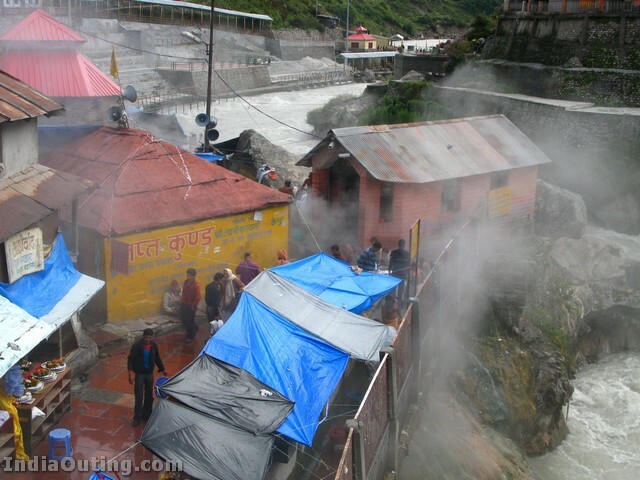 Badrinath is one of the distination out of Four Dham.The other three are Yamnotri,Kedarnath,and Gangotri. I have visited twice. Peacefull and calm place.The gateway to God Vishnu. All four Dhams should have helicopter service or rope way connection installed for easy traffic movement . Transport on coolie’s back or congested unhigenic lodges without A.C etc.are not part of pilgrimage either and need to be replaced by modern amenities . 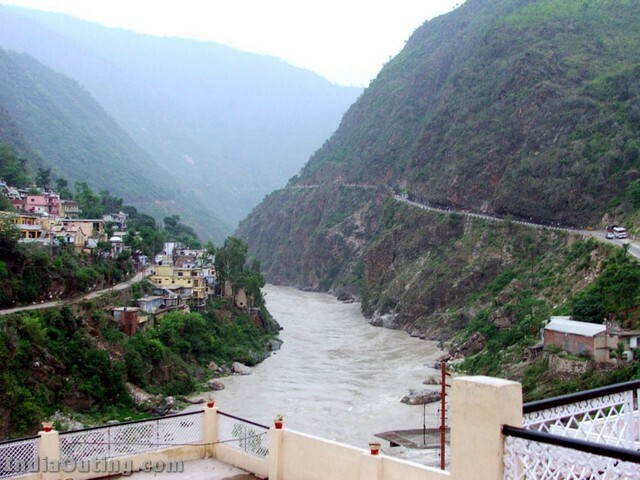 Char dham infra stuctural development if pvt developers are given the toll tax collection benifits,may end sufferings of tourists/pilgrims and allow them return alive without being sick . Its god own place (Char dham) As a hindu we must visit this place .